This is the first time we really get to see the level of Persephoni’s inner dedication to Chelsea. It must be hard for someone to have the "mothering" instinct when the child is completely unaware of their existence. 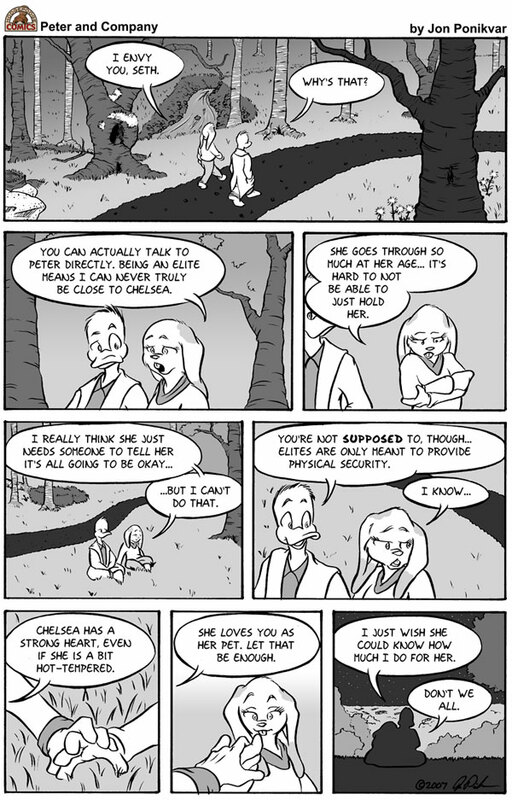 A special origin comic for the pair, showing how Chelsea first found Persephoni, is included in the second Peter & Company collection book, Of Cats and Crushes.